5 words: Heartbreaking, harrowing, compelling and hope-filled. Who will love this: Readers aged over 14 who love action packed, heartfelt writing. Favourite character and why: Sparrow! Sixteen-year-old Sparrow, who doesn’t speak, finds himself swimming in shark and croc infested waters after a juvenile detention exercise off the Kimberly coast goes wrong. Once ashore, he relies on his resourcefulness and courage to survive in the harsh land. Sparrow past and present makes your heart ache and yet fills you with hope for. Best bit: The writing and Sparrow. 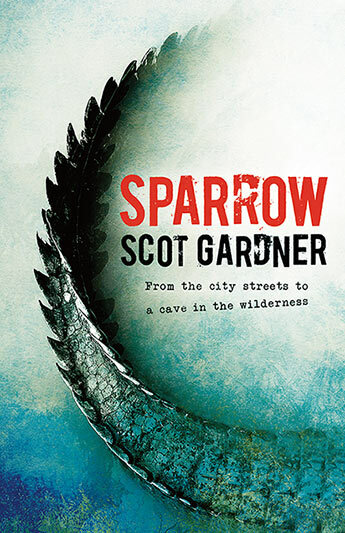 Last word: Scot Gardner is an amazing writing who describes character, place and emotions with such a light hand. In this book his acute observation skills and knowledge of people combine to make for an un-putdown-able read. Highly recommended.